Heaven’s Gain specializes in providing services and products for families suffering the loss of a child through miscarriage, stillbirth, or infant death. Information and resources are available throughout our website. 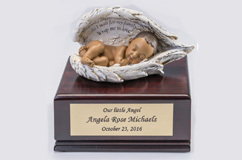 Our baby caskets and infant urns are personalized to reflect the dignity of the miscarried or stillborn baby at any age. A dignified burial is very important to acknowledge the dignity of the baby and affirm the family’s grief. 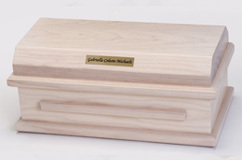 We hope our beautiful caskets and urns will assist grieving families on their journey to closure and peace. 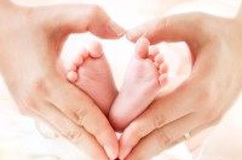 Our Baby Loss Family Advisors™/ Baby Loss Doulas® offer non-medical information helping support those suffering pregnancy loss at any stage of pregnancy. Our certified BabyLoss Doula / Baby Loss Family Advisor is available by phone. We hope to provide the information parents need to make informed decisions. Find out the wonderful things that our clients are saying about our products and services. On this page you will find a sample birth plan that you can customize. Women experiencing miscarriage should be fully informed of what to expect. They should understand. We would like to make a few recommendations that we hope will help you as you give birth in the hospital. Losing a baby is one of the most tragic events of one’s life. 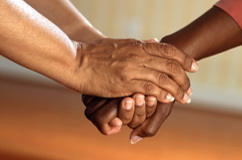 Our Baby Loss Doulas can advise and advocate for you. Discovering that your child may die at birth or shortly afterward is devastating. Parents should be fully informed. Our ministry, Heaven’s Gain, recognizes the need for families to receive loving support when suffering the death of a baby at any gestational age including premature birth, or at the newborn stage. We offer a birth plan template with suggestions for you to fill out on your own or with the help of our staff. The best, most informed choices help enhance the short but very important time with your baby. These special and meaningful moments help create lasting memories that bring comfort. We strive to perform the Spiritual Works of Mercy for our clients through instruction, giving advice, consolation, and comforting parents and all family and friends who are grieving the loss of a baby. Our goal is to support the family in its time of grief, to affirm the dignity of the baby, and to assist in closure for the family. With a Certified Baby Loss Doula on staff, we offer non-medical information that supports those suffering pregnancy loss at all stages of pregnancy. Burying the dead is a Corporal Act of Mercy. 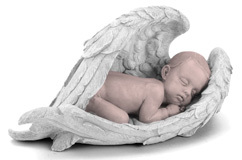 At Heaven’s Gain, we are called as part of our mission to provide burial products that honor the dignity of the deceased baby at any developmental stage. Our unique line helps bring families closure and peace. When a family loses a child, no matter the age, it has a unique opportunity to preserve that child’s memory. 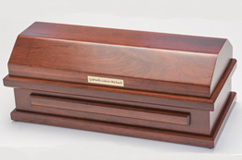 Heaven’s Gain can provide a dignified, proportional burial vessel that will serve as a beautiful final resting place. The beauty and quality of our products give glory in the creation of each little one who, even though small, is treasured and is deserving of great dignity and respect. 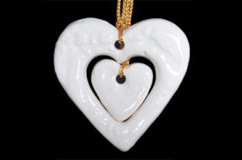 We believe it is healing for parents to be given choices of caskets and urns so they can choose a special casket or urn for their baby. 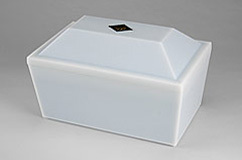 Appropriate sized burial products including caskets, urns, and vaults are part of this support. 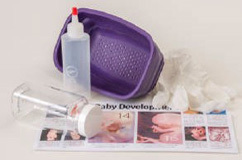 We also offer our miscarriage kits that assist the family in delivery of thier miscarried baby. Pregnancy loss is not rare. One in five pregnancies ends in miscarriage during the first trimester. In the second trimester, one out of 33 babies is miscarried, stillborn or dies prematurely. In the third trimester, one in 160 babies is stillborn or dies after being born prematurely. 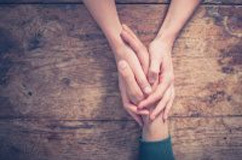 You are not alone, and we are here to help. Heaven’s Gain Ministry is determined to provide for the emotional and physical needs of families experiencing pregnancy loss. Every child is precious no matter the length of gestation. Families deserve sensitivity, compassion, and proper preparation. We know grieving families are not just losing a hope or a dream. They are losing a child that can never be replaced. Parents in need of support must be cared for with respect when saying “hello” and “goodbye” to their precious baby. Heaven’s Gain supplies information, instructions, and tools to guide parents in making informed decisions promoting peace without regret. This site will help navigate all we have to offer. 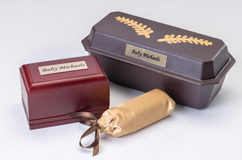 We can connect families with a Certified Baby Loss Family Advisor™ /Baby Loss Doula®, and provide burial baby caskets and baby urns for miscarried or stillborn babies of any gestational age. 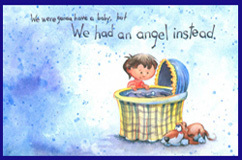 We pray the variety of resources provided by Heaven’s Gain helps acknowledge and uphold the dignity of each precious baby, informs and instructs parents, and brings comfort and closure to each grieving mother, father, and family member.